See the difference CortiBalm can make! CortiBalm’s fast-acting, patented formula goes to work immediately relieving the pain and irritation of even the most stubborn cold sores. The CortiBalm user seen here experienced dramatic relief in just 24 hours. Hear from one of our many satisfied customers! 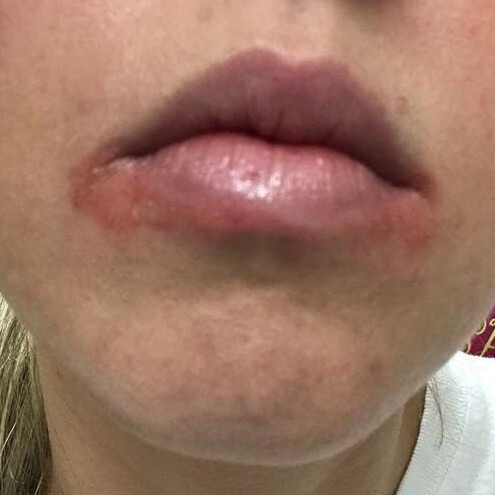 What can CortiBalm do for my cold sore? CortiBalm contains Hydrocortisone that reduces the inflammation caused by the virus in cold sores. By applying CortiBalm three to four times a day when you first recognize a developing cold sore, symptoms of pain, burning, and redness associated with recurrent cold sores will substantially reduce. In most cases, it will seem as though the cold sore never developed. Cold sores are caused by the herpes virus. Most people only get one outbreak. 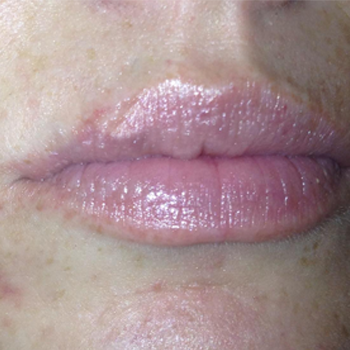 However, recurrent outbreaks are possible when lips get irritated from sunburn, stress, or dental procedures. When the virus is active, the body’s immune system tries to fight it, ultimately leading to swelling and blisters. Almost all dermatologists treat the virus with oral or topical prescription anti-viral medications. While they ultimately work by attacking the virus, they do nothing for the inflammation, or the symptoms. On the other hand, Dr. Dan’s CortiBalm goes to work immediately on the inflammation and pain by using Hydrocortisone in a mild base, without any other harsh chemicals that could actually worsen the situation. 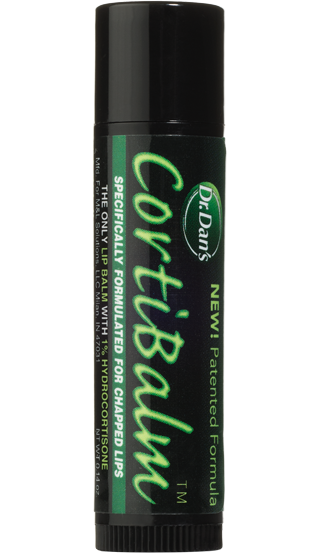 If you suffer from recurrent cold sores, see your Dermatologist for anti-viral medications and always have your Dr. Dan’s CortiBalm ready to use. 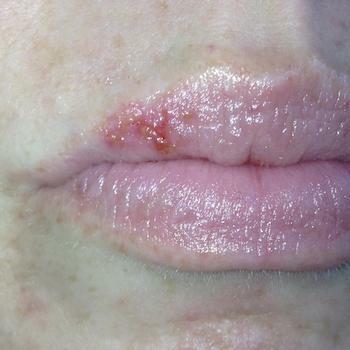 Cold sores are painful sores that occur around the mouth and lips. They are caused by a herpes simplex virus (usually herpes simplex I). Cold sores can either be inherited or transmitted from someone with a cold sore since they are highly contagious. However, they are different from canker sores as they typically occur outside of the mouth and are caused by a virus. 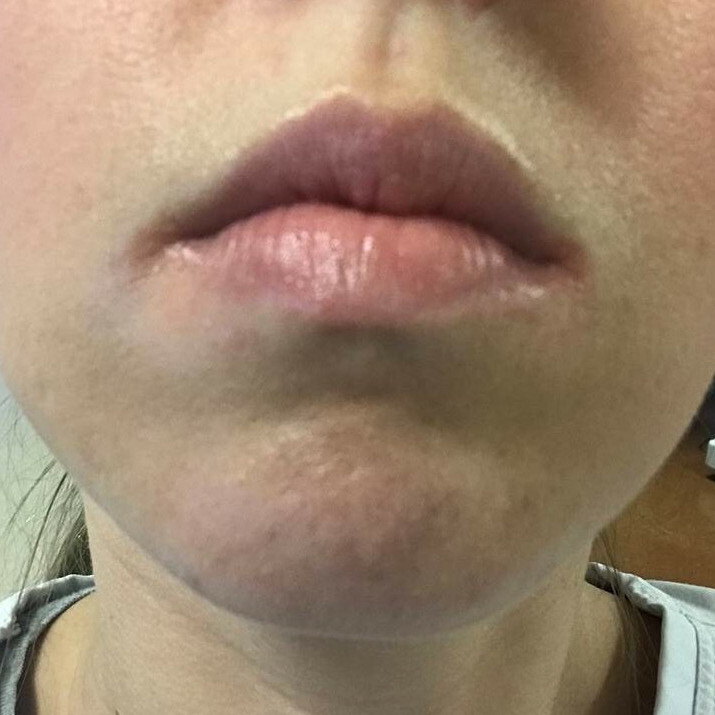 They usually start out as a burning or painful bump and progress to a blister on the lip or mouth area, and then to a more painful, raised red area that may develop a yellow crusty surface. On average, cold sores last eight to ten days and are self limiting if left untreated. Once you have been infected by the herpes virus, not to be confused with genital herpes, you will continue intermittent eruptions of cold sores as there is no known cure. How do I recognize a cold sore? Cold sores have the characteristics indicated above, but can be confused with canker sores. Canker sores occur inside the mouth, rather than around the mouth and lips. In addition, they are not caused by a virus and are not contagious like a cold sore. What do I do when I get a cold sore? First, the most important step is to avoid transferring the virus to other people. Avoid oral contact such as kissing. Clean the area with mild soap and warm water. Do not share eating utensils, food or anything else that comes in contact with your mouth or lips. How do I treat my cold sores? There are a multitude of treatments for cold sores. Common Treatments: Routine cleansing, ice, minerals, vitamins and herbal therapies. Antiviral Treatments: Oral antiviral medications (these are ineffective after the cold sore develops) and antiviral ointments that reduce the length of symptoms but do not kill the virus.